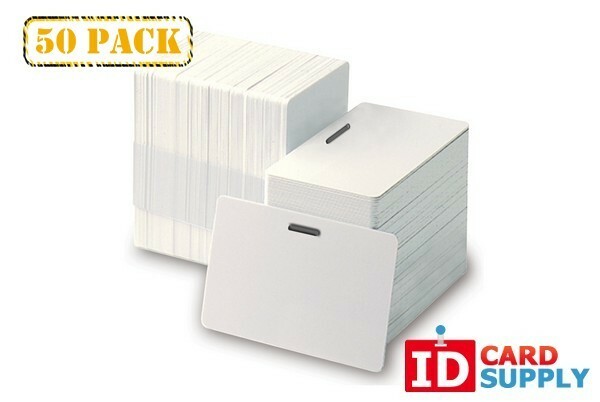 Provided by IDCardSupply, these white PVC cards have a thickness of 30 mil and are easy to customize using a direct-to-card printer. These cards come with a horizontal slot punch for easy attachment to a holder. These cards are high quality and will definitely last you for a long time! 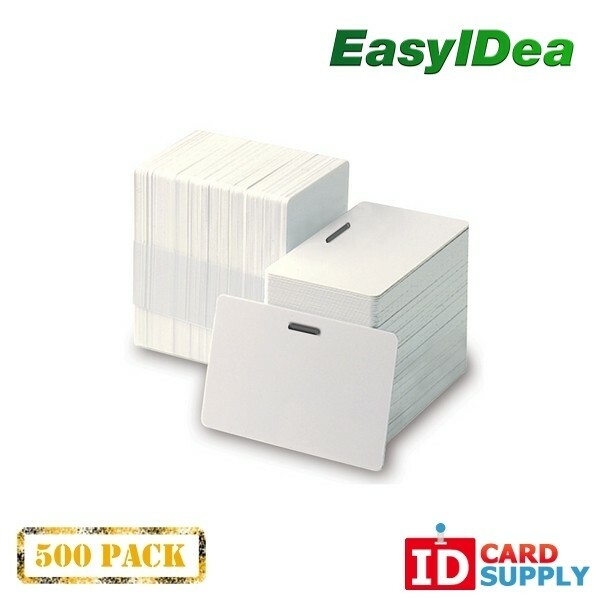 This pack contains 500 white PVC cards.